Asmara offers some great live music in a chilled out atmosphere, and is one of the main live music venues in Senggigi. Top musicians offer blues, mellow jazz, and feature special guest musicians too. There are local bands who play here, popular amongst guests; Aan Tomstone & Friends, Ary Juliyant Folkclub, Agus and the Pallette Band, and more. 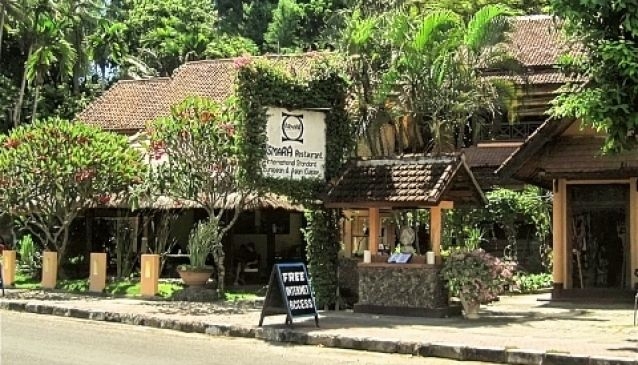 One of the best places to eat in Lombok, and offering fantastic service, locals and tourists often return over and over again to Asmara. Add that to the high quality live music, you might just discover a new Lombok favourite. Every Friday (except the first Friday of each month) Asmara hosts the 'Stammtisch' for local expats and friends of Asmara, for a casual social gathering. There is a really relaxed and welcoming atmosphere at Asmara and if you don't feel like socialising then just lean back and listen to some top notch blues with a cool beer.